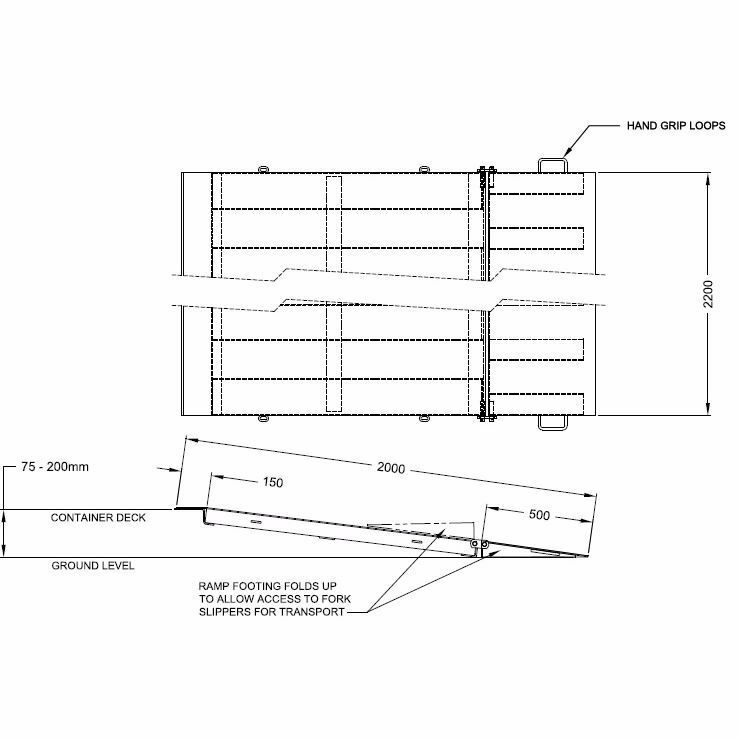 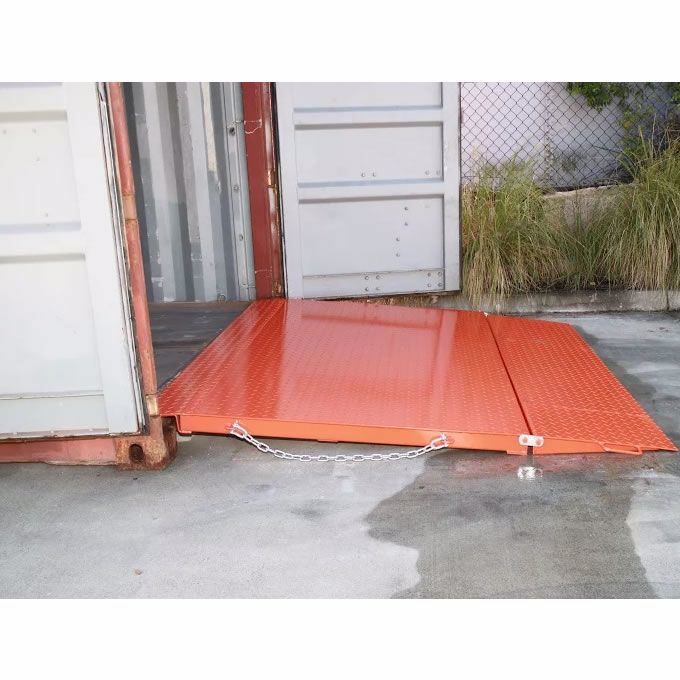 The 6.5 tonne container ramp design is primarily used for bridging a forklift from standard ground level into a standard shipping container. 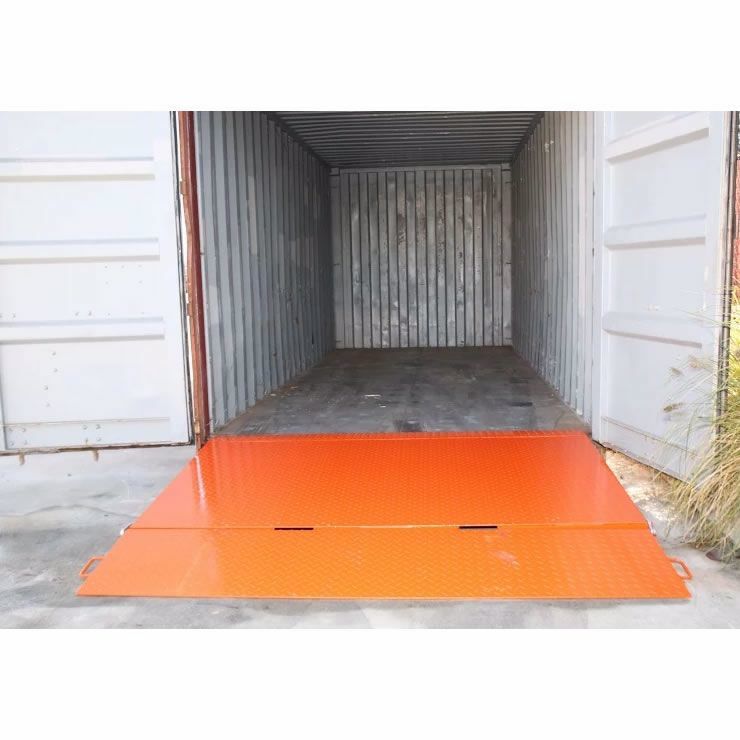 This is our best selling container ramp and has folding design to save space when not in use. 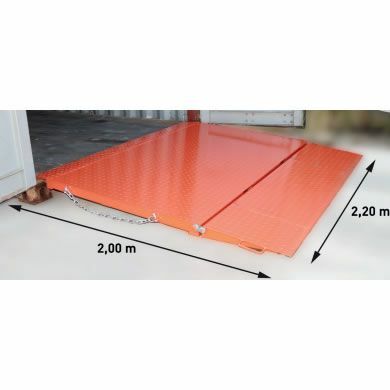 The self-leveling lip allows for full loading capacity even when on slightly uneven ground. 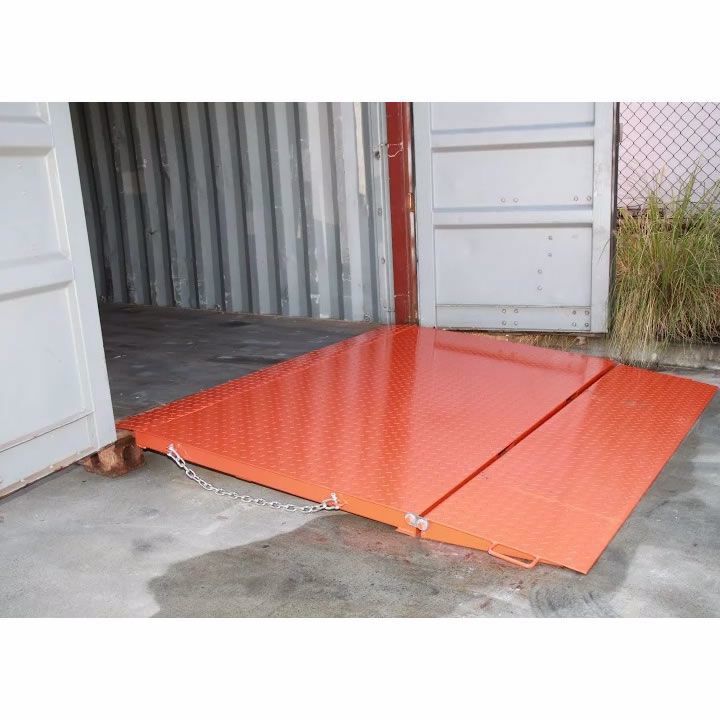 Also for sale are our budget model 7 tonne ramp, heavy duty 8 tonne and 10 tonne forklift container ramp for heavy duty use. 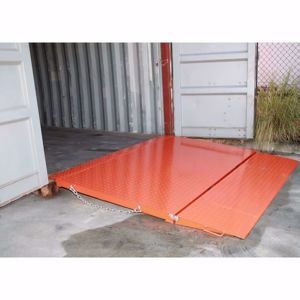 Also known as forklift ramp or forklift loading ramp.